Krakow Technology Park was established in 1997. Its mission is to develop modern economy and innovative academy-based technology enterprises in the region. Krakow Technology Park plays a key role in the development and growth of the local economy in the area of ICT technologies and e-driven solutions, being a hub for innovative SMEs offering them varied infrastructure, state-of-the-art labs, office space and a vast range of training, information and consulting opportunities. As Business Innovation Center, KTP supports directly over 150 companies (incubators, accelerators, tenants) located in the venue, gathers 100 IT & ICT based companies in clusters and the same number in special economic zone. On 4th March Krakow Technology Park organised its first co-creation workshop since that meeting in February. 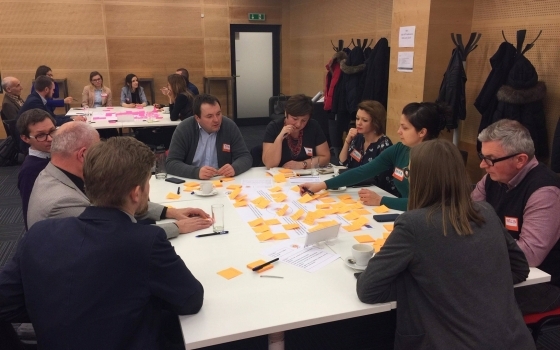 The co-creation workshop was devised to be an open forum for dialogue between people interested in defining ideas to improve the air quality in Krakow and Malopolska Region.